Red Pepper directors and editors appear in court on Nov 27. Kampala, Uganda | IAN KATUSIIME | Newspapers, human rights organisations and civil society groups have condemned the arrest of the five directors and three editors of Red Pepper as a blatant attack on press freedom in Uganda. The Committee to Protect Journalists (CPJ), African Centre of Media Excellence (ACME), and Foundation for Human Rights Initiative (FHRI) and others have demanded the immediate release of the eight Red Pepper staff and re-opening of the newspaper’s offices. The five directors/owners are Richard Tusiime, Patrick Mugumya, Johnson Musinguzi, James Mujuni, Arinaitwe Rugyendo, and three editors; Richard Kintu, Ben Byarabaha and Tumusiime Francis Tinywana. 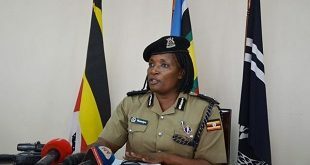 They were arrested on Nov.21 and locked up for seven days in the notorious Nalufenya Detention Centre in Jinja in total contravention of the law which stipulates that suspects must be presented before court in less than 48 hours after arrest. The detention facility which is notorious for torture of suspects was seen as an attempt to break them psychologically because the initial charges against them were largely frivolous. Among the charges was treason, which was farfetched with regards to details of the case. When they were finally arraigned in court on Nov.27, they were instead charged with seven counts, including publication of information prejudicial to security, disturbing the peace of President Yoweri Museveni, his brother Gen Salim Saleh and Minister for Security Henry Tumukunde. The other charges are three counts of offensive communication, and three counts of libel. 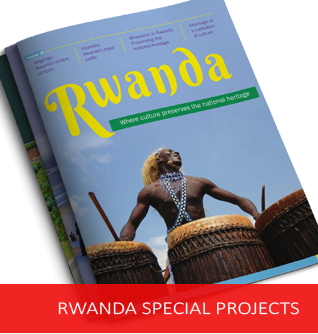 The charges are based on a story the tabloid published on Nov. 20 titled “Museveni plotting to overthrow Kagame-Rwanda”. The story led to a raid on the newspaper’s head office in Namanve on Nov 21 by Police detectives. The premises were shut down and the directors and editors whisked off to Nalufenya. Police also confiscated phones and computers of Red Pepper employees during the raid. Andrew Irumba, the client relations officer of Red Pepper Publications said a team from the Uganda Human Rights Commission (UHRC) visited the detained staff of Red Pepper at Nalufenya police station and demanded the release of the editors and directors saying their detention had gone beyond the mandatory 48 hours of detention. The team from UHRC also said Nalufenya is not a gazetted detention centre. Irumba said the state’s continued closure of the newspaper is trampling on the rights of Red Pepper workers because the operations of about 200 other staff have been affected. The Committee to Protect Journalists (CPJ), a U.S.-based independent non-profit organisation that promotes press freedom worldwide called for the immediate release of Red Pepper journalists and said that the government is trying to intimidate the media. 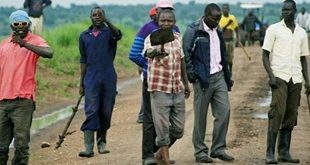 “Uganda is trying to intimidate Red Pepper journalists and staff into silence with arrests and raids,” said CPJ Africa program coordinator, Angela Quintal in a statement. 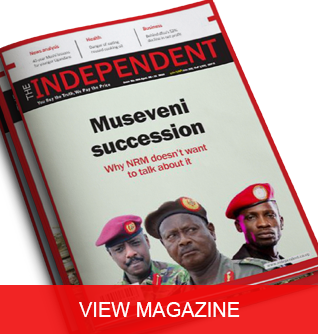 Peter Mwesige, the ACME executive director told The Independent the police raid and detaining the directors and editors at Nalufenya are all meant to intimidate not only the journalists and managers at Red Pepper but the entire media fraternity in Uganda. He described the actions as heavy-handed. “It is like bringing out guns and tanks to kill flies,” he said. Mwesige said the actions have a chilling effect on the exercise of the right to press freedom and the wider rights to freedom of expression and speech which are guaranteed by the Constitution. He said Red Pepper editors have a constitutional right to disseminate information. “Would editors at another Ugandan newspaper have published this story? Mostly likely, no. Yes, The Red Pepper editors may have been reckless, but that doesn’t take away their constitutional right to disseminate information and the public’s right to receive it. “The problem in Uganda is that what is deemed reckless or irresponsible journalism by the powers that be is sometimes punished by criminalisation of publication,” he said. Before the charge sheet was amended from treason, Livingstone Sewanyana, the executive director of FHRI had described the attack as an abuse of both press freedom and process of legal abuse. 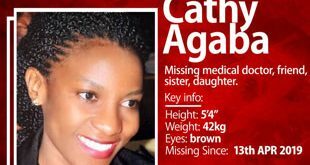 This is the second time in four years a major newspaper in Uganda is being shut down by the state. In 2013, Red Pepper and Daily Monitor were shut down after they published a letter by Gen David Sejusa, then chief coordinator of intelligence services, talking of an alleged plot to kill then prime minister Amama Mbabazi, the late former chief of defence forces and then-minister of internal affairs, the late Gen. Aronda Nyakairima and Sejusa himself over their opposition to a project where Museveni is allegedly grooming his son Maj. Gen. Muhoozi Kainerugaba to succeed him as president. I take special note of a statement above which interalia, sates that ……’a team from the Uganda Human Rights Commission (UHRC) visited the detained staff of Red Pepper at Nalufenya police station and demanded the release of the editors and directors saying their detention had gone beyond the mandatory 48 hours of detention’. Whereas I will never condone the abuse of rights of individuals by anybody by anyone, I thought UHRC is supposed to be a non-biased, non-discriminative and impartial organisation that treats all Ugandans equally. Across the country, there are so many detainees that have been in detention for even months and UHRC has neither visited them nor raised any complaint about them. Are these Redpepper detainees special or is it because they may be drink-mates of some UHRC officials? Even UHRC should be very well aware that being a journalist does not give that person unlimited rights to infringe on rights of others by publishing what’s not right or injurious to that person. rational journalism demands responsibility and jurisprudence. It is required of journalists to do due diligence before publishing any information, so as to avoid a situation that may threaten and abuse the rights of others. It is not journalists that are supposed to enjoy rights. I hope their case will be determined without favour or bias by the judicial system.